Staying fueled throughout the day is a very important aspect about being a successful college student. Blugold Dining has something for everyone and strives to give you a variety of healthy, nutritious, and delicious food options to eat on a daily basis. Whether it's a quick bite at Einstein Bros. Bagels or a sit down meal at the Dulany Inn. Explore more about our dining options and meal plans below. 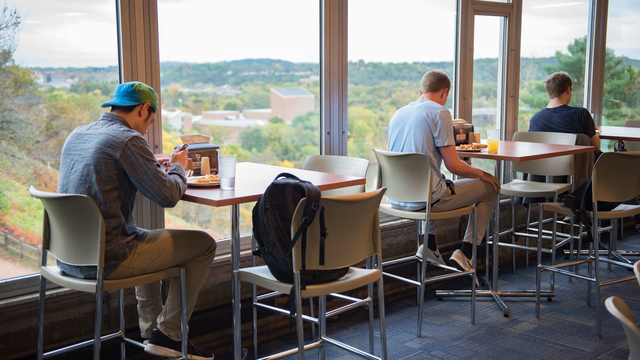 Meal plans make it easy for students to eat at our dining facilities. Do you have Celiac Disease or a gluten-intolerance? Learn more at Sodexo's A Better Tomorrow Starts Today! Find more info here.